A submerged boat was pulled into the boat launch area of Dana Point Harbor shortly just before 4 p.m. on Jan. 29. 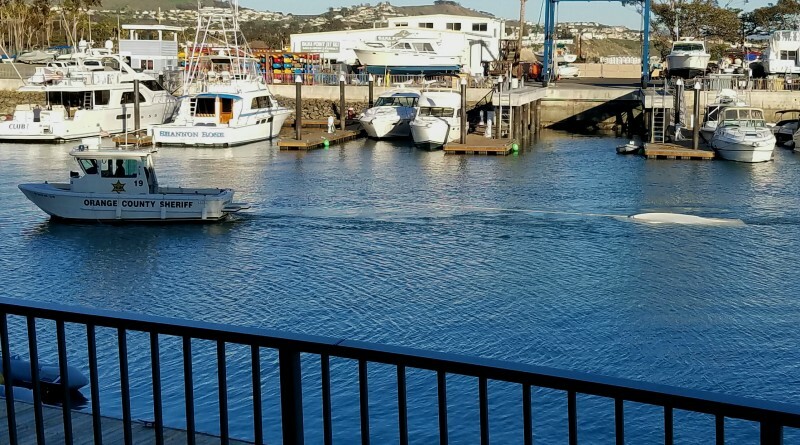 Reader Scott Abrahamson snapped these photos of the submerged vessel being towed into Dana Point Harbor and arriving at the boat launch ramp. The vessel’s occupants were safely brought to shore, but not before making every effort to turn the boat right side up. 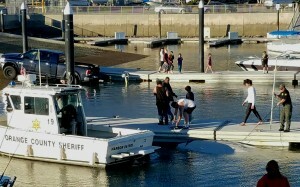 Two of the three occupants were in the water, trying to pull the boat out, according to a Harbor Patrol blotter entry. A third person described as a small child reportedly swam to shore. Details were not released on how the boat flipped over and became submerged.